These stylish pyramid shape crystal decanters can be used for either wine or spirits and can be engraved to create a highly memorable personalised gift. They combine clean lines and a contemporary design with the handcrafted element of a bubble in the thick glass base. 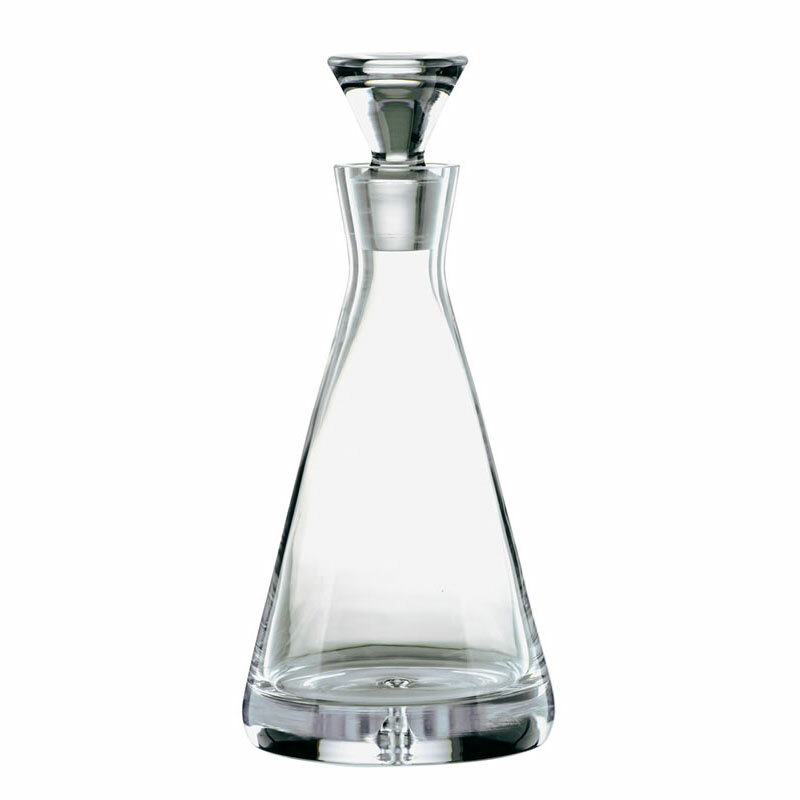 A matching tapered round stopper is included and the capacity of these decanters is 0.37 litres. Add your engraved message or dedication, or event or achievement details, or just a name or initials if you prefer. An optional fitted and fully lined presentation box, suitable for this decanter, is available. Capacity: 0.37ltr. Weight: 1.2kg. Height: 245mm. Diameter: 110mm.